Apartment rent growth continues to tighten as the current cycle matures. 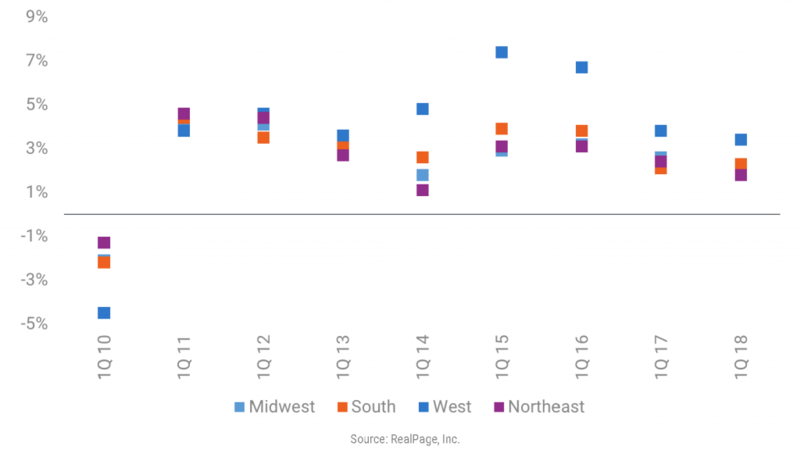 Since the cycle peak in 2015, rent growth among the four U.S. regions has steadily pulled back closer to each region’s long-term norm. The West region has generally led other regions for the majority of this cycle.